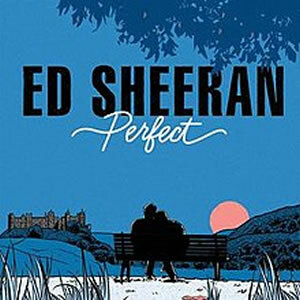 "Perfect" is a song by English singer-songwriter Ed Sheeran from his third studio album (2017). After the album's release it charted at number four on the UK Singles Chart. On 21 August 2017, Billboard announced that "Perfect" would be the fourth single from the album. The song was serviced to pop radio on 26 September 2017, as the third single from the album in the United States (fourth overall). The song eventually reached number one on the UK Singles Chart and the US Billboard Hot 100 in December 2017. "Perfect" became the UK Christmas number-one song for 2017, and also peaked at number one in sixteen other countries, including Australia, Canada, Ireland and New Zealand.